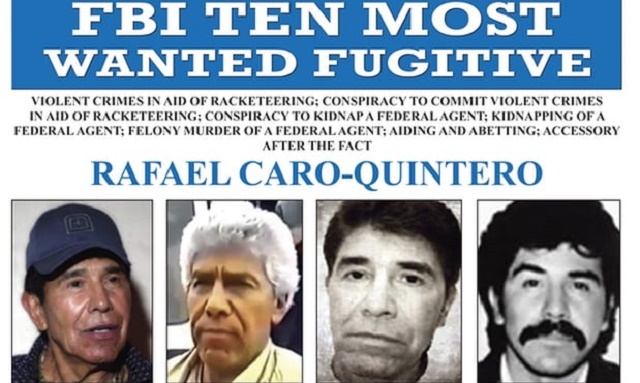 An FBI wanted poster showing photos of Rafael Caro‐Quintero. Alleged drug cartel leader Rafael Caro‐Quintero is wanted for his alleged involvement in the 1985 killing of 37-year-old DEA Special Agent Enrique Camarena Salazar (a.k.a “Kiki”). Camarena served as a Calexico fireman and police officer, as well as an Imperial County sheriff’s deputy. He joined the Drug Enforcement Administration in June 1974, and his first assignment as a special agent was in Calexico. Officials are offering a $20 million reward for information that leads to the capture and arrest of Caro-Quintero. Caro‐Quintero is regarded by federal officials as one of the Mexican “godfathers” of drug trafficking who helped form the Guadalajara Cartel in the late 1970s. Allegedly, he became one of the primary suppliers of heroin, cocaine, and marijuana to the U.S., and was in charge of the cartel in Costa Rica and the U.S./Mexico border. DEA Special Agent Enrique Camarena Salazar (a.k.a “Kiki”). Camerena’s murder followed a November 1984 raid by Mexican authorities of a 2,500-acre marijuana plantation owned by Caro‐Quintero, according to the FBI. The Guadalajara Cartel blamed Camarena for the takedown and decided to retaliate, the FBI said. Camarena was kidnapped en route to lunch with his wife on February 7, 1985, in Guadalajara, Jalisco, Mexico. He was surrounded by five armed men who threw him into a car, then sped away. It is believed he died within two to three days of his kidnapping, but his body was not found until March 5, 1985. Federal investigators believe direct orders for the kidnapping and killing came from Caro‐Quintero. 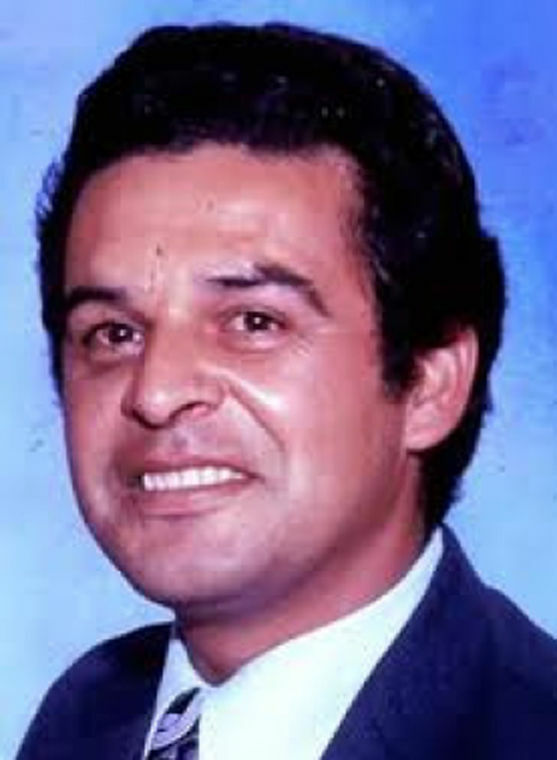 On July 30, 1992, a federal arrest warrant was issued by the U.S. District Court, Central District of California, charging Caro‐Quintero with violent crimes in aid of racketeering, conspiracy to kidnap a federal agent, kidnapping of a federal agent, felony murder of a federal agent, aiding and abetting, and accessory after the fact. Caro-Quintero is considered armed and extremely dangerous. Anyone with information is urged to call the FBI at (800) 225‐5324, or leave a tip online at tips.fbi.gov.